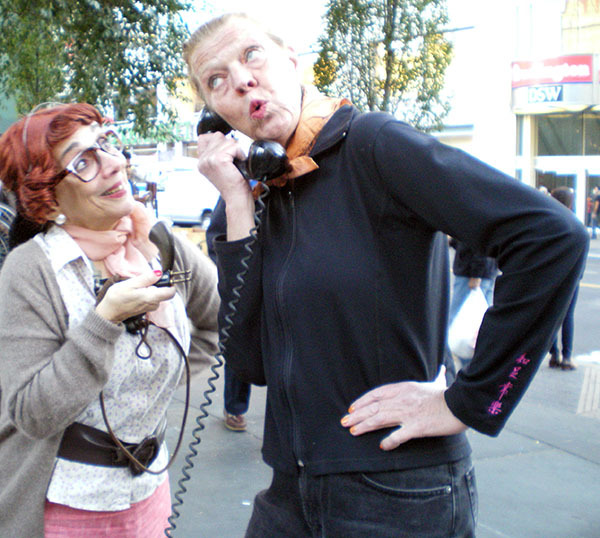 Telephone Operator Loretta connects fellow operator Olivia with her uncle Ed during her Art in Odd Places: Number performance on Tuesday, October 15th on the southwest corner of Union Square at 14th Street and University Place. 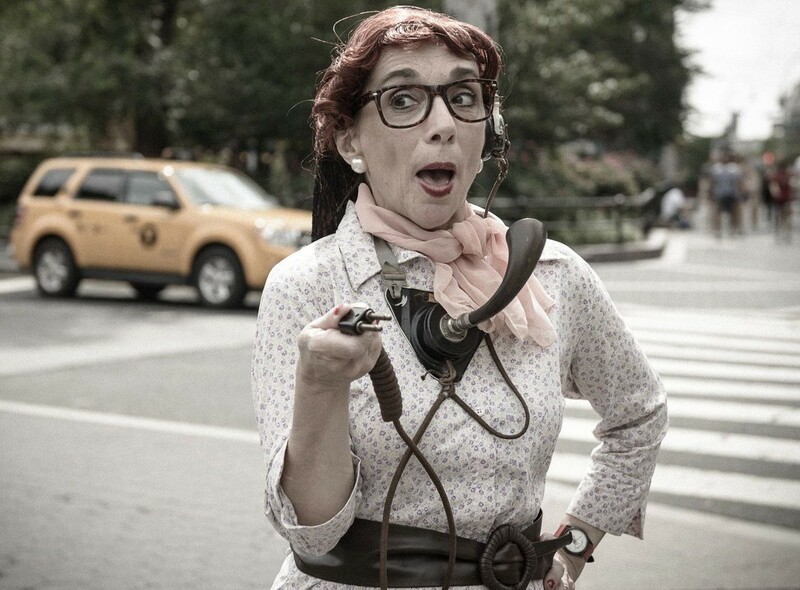 REMEMBRANCE OF PHONE NUMBERS PAST: a street performance evoking nostalgia from numbers. LuLu LoLo as “Telephone Operator Loretta” attired as a 1940 telephone operator complete with vintage headset will attempt to connect passersby with the earliest telephone number they remember. All callers will be invited to leave a voice message to the past. This entry was tagged 14th Street, Art in Odd Places, LuLu LoLo, mother, Remembrance of Phone Numbers Past, telephone number, Telephone Operator Loretta, Union Square. Bookmark the permalink. Remembrance of Phone Numbers Past: Michael calls his late father in Sunny Isles Beach, Florida. After leaving his “message to the past” Michael told Operator Loretta that making this call was cathartic. Keep Up With LuLu LoLo!